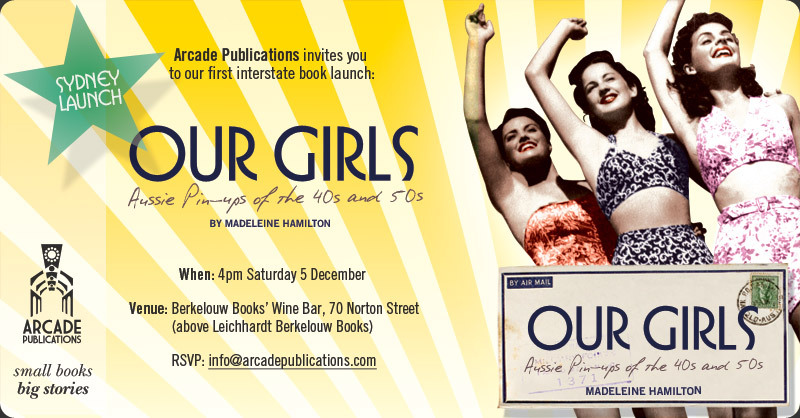 For Sydneysiders who missed the Melbourne launch of “Our Girls”, Madeleine Hamilton’s lovely new book about Aussie pin up models of the ’40s and ’50s, come along to Berkelouw Books’ Wine Bar this Saturday for your chance to get a signed copy from the author. Click on the above invite to see in full size. Previous Drape: Classical Mode to Contemporary Dress – NGV exhibition. Next New Kustom Pin ups calendar now available!